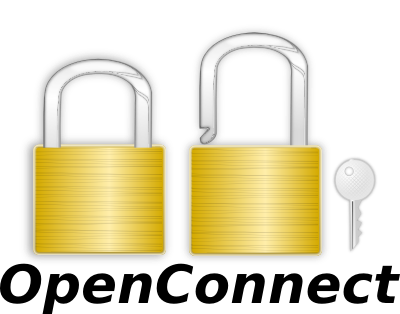 OpenConnect supports the use of X.509 certificates and keys from smart cards (as well as software storage such as GNOME Keyring and SoftHSM) by means of the PKCS#11 standard. Objects from PKCS#11 tokens are specified by a PKCS#11 URI according to RFC 7512. However, if you're now looking blankly at a USB crypto device and wondering what PKCS#11 URI to use, the following documentation should hopefully assist you in working it out. In order to use a PKCS#11 token with OpenConnect, first it must be installed appropriately in the system's p11-kit configuration. You shouldn't need to worry about this; it should automatically be the case for properly packaged software on any modern operating system. Typically, the smart card support is likely to be provided by OpenSC and a distribution's packaging of OpenSC should automatically have registered the OpenSC module with p11-kit by creating a file such as /usr/share/p11-kit/modules/opensc.module. In order to query the available PKCS#11 modules, and the certificates stored therein, the best tool to use is the p11tool distributed with GnuTLS. In Fedora it's in the gnutls-utils package. This example shows the relatively common PIV SmartCard, in this case in a Yubikey NEO device. If no explicit -k argument is given to specify the key, OpenConnect will use the contents of the -c argument as the basis for finding both certificate and key. Additionally, it can sometimes be the case that although the ID (id=) for a certificate should match the ID of its matching key, the label (object=) might not match. Newer versions of OpenConnect (7.01+), on failing to find a key, will strip the label from the search URI and add the ID of the certificate that was found (even if no ID was part of the original search terms provided with the -c option). But older versions don't. OpenConnect doesn't care; you can use certificate and key from entirely different hardware tokens if you want to. Or one from a file. Or a key from a TPM and a certificate from a PKCS#11 hardware token. Or all kinds of bizarre combinations. But if it's a sensible combination on a sanely configured PKCS#11 token, and OpenConnect can't infer the key location from the certificate, then please send us an email and we'll try to fix it.